Zipline sat down with Prof. Barbara Kahn of the University of Pennsylvania’s Wharton School to discuss customer experience in retail. 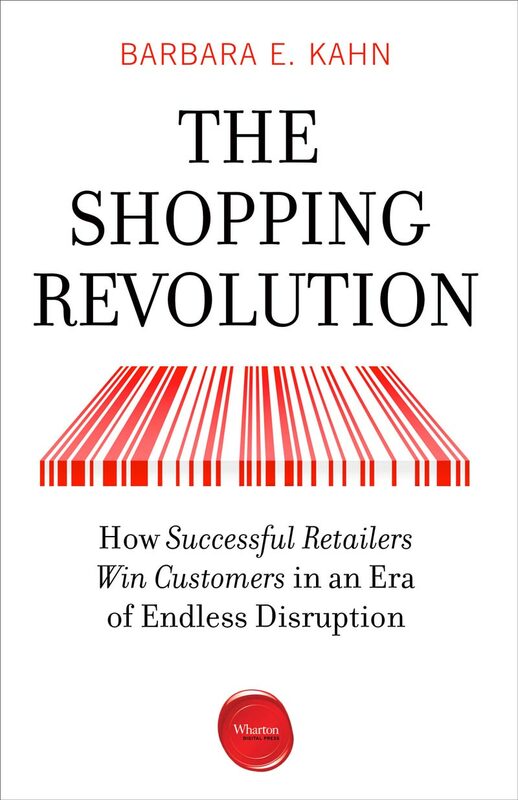 Prof. Kahn is the former director of Wharton’s Baker Retailing Center and the author of the new book, The Shopping Revolution, coming out June 12, 2018. Your new book, The Shopping Revolution, argues that retailers can’t just be the best at one thing anymore; they need to excel at multiple. How do they accomplish that? That really is the trick. The brands who are winning have been hyper-creative; that’s where the genius of retail comes into play. It’s not simple like some articles say. Creating the right experience, for example, isn’t about adding food or music to your store. It’s about really understanding your customer. Who does that particularly well? TJ Maxx and Costco both have that “treasure hunt” experience. They know their customers love amazing deals, but also that they love discovering those deals. And because the inventory changes so regularly, shoppers have to find the surprises before they’re gone. It’s very exciting. One more thing: There seems to be something special about Seattle retailers. They just get customer experience. Look at Nordstrom’s, Costco, Amazon. Starbucks invented customer experience. REI has succeeded for a long time with its loyalty program and in-store demonstrations. These strong retailers all started in Seattle. Why should someone still go to a brick-and-mortar store in the first place? As long we’re human, people will care about touch and feel. Plus, it’s a social activity. It’s fun. And sometimes you just want an item right now. “Customer experience” is a broad term that encompasses all those things. Remember, experts have predicted the end of the movie theater for years. But they’re still around, because people want to go out and enjoy an experience with their friends. The same remains true for shopping. And, of course, people shop for many other reasons. Some like to pick out their own produce. Others go to the stores so they can get gas or visit the pharmacy at the same time. As long as it’s convenient enough, people will keep going to stores. Where does execution fit into all this? Operating efficiently has always been important and continues to be important. It’s just that new dimensions matter, too. Here’s an example: Look at a company like Zara. They’re a great brand, but they sell directly to consumers, which reduces costs. Typically, you don’t see low prices and strong brands go together, but Zara has been efficient enough to make it work. If you were running a brand, what are some of the steps you’d take to improve customer experience? It takes market research and incredible ingenuity. You often see that creativity with some of these newer brands. I always think Warby Parker is a brand worth watching. Glossier, meanwhile, keeps generating excitement and keeps growing. Who’s really missing the mark on customer experience? The ones that are closing, like Toys R’ Us. There were long lines. You couldn’t easily find what you were looking for. Think about what’s happening to these brands more broadly. Profit margins aren’t as good online, so they become less profitable overall. That makes them squeeze costs, which hurts the customer experience, which drags down store profits, and they wind up in a downward spiral. That spiral is not a good place to be.